Wayfair, a publicly traded e-commerce company, is growing fast. The homegoods company added nearly 2,000 employees in the first half of 2018. Total headcount is about 10,000 employees across the United States and Europe, with the majority sitting at its headquarters in Boston. When a company is scaling as quickly as Wayfair, it’s the workplace services team that makes the growth possible. From setting up new desks to managing company events, they keep everything running like clockwork while maintain the company’s sense of community. Food is a major factor in creating a place where professionals want to work. Wayfair wanted a convenient, onsite lunch option for its employees so they wouldn’t have to leave the office during the busy lunch rush. They tried a number of programs, but none could keep up with the demand of a company adding hundreds of new employees every month. 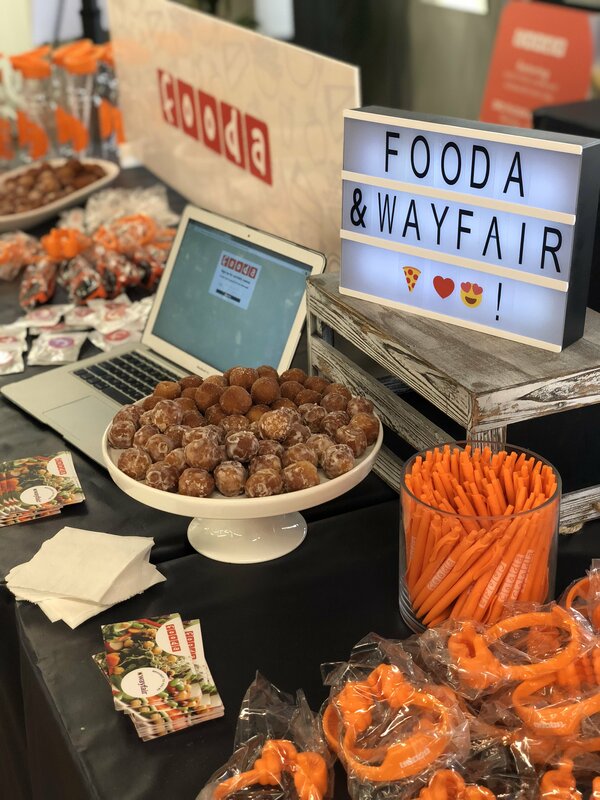 Wayfair’s solution: Restaurants at Work—different Popup restaurants set up throughout Wayfair’s headquarters so employees can buy fresh, authentic lunch every day.